The Warehouse Procedures system was designed for Freight Forwarders to keep track of all goods entering and leaving their premises. Our Warehouse programs have been used by the industry since 1990 and can be fully integrated with Export Procedures. Our Warehouse Receipt program allows you to enter Bonded or Non-Bonded Receipts so you can easily keep track of inventory line items. With our time-saving features and easy data entry, warehouse receipts are entered quickly and effectively. ASCI is pleased to partner with Symbol Technologies, allowing you to use the Symbol MC300 Scanner to upload inventory information wirelessly to your Warehouse system. For Bonded Warehouses and Perishable Cargo Handlers, our more specialized Warehouse Distribution application will meet your software needs. Our Warehouse programs can be integrated with with Motorola/Symbol Scanner technology. This allows you to upload inventory information and create Warehouse Receipts via a wireless hand-held device. 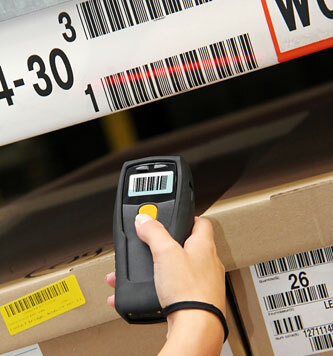 Simply scan and transmit; your warehouse will be updated automatically.